Hotel Suite Esfahan is a 3-star property located at a picturesque location in Isfahan, at Aineh Khaneh Boulevard across the Sio-se-Pol bridge right on the Zayandeh Rud. Esfahan airport is nearby at a distance of 20.4 km and the nearest metro station, Isfahan Central Metro station, is at a distance of just 1.7 km. 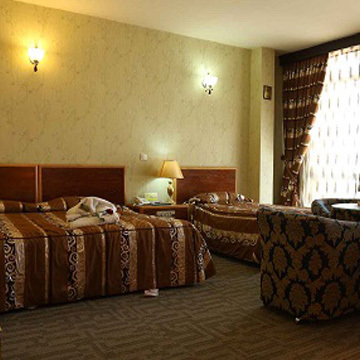 Therefore, you can comfortably travel to most of the magnificent places if you are residing in Hotel Suite Esfahan. Moreover, most of the tourist attractions are at a walking distance across the Sio-se-Pol bridge. 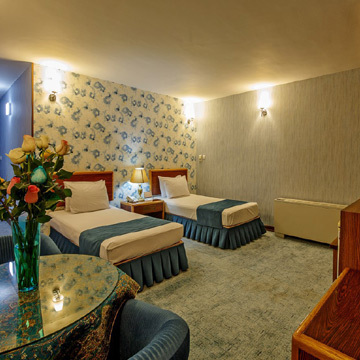 Suite Hotel Esfahan is a 4-floor building that has 48 rooms for accommodation. 24-hour room service is available for the customers. The rooms have basic amenities like refrigerator, cable LED televisions air conditioning, and bathrooms with shower and bathtub. Laundry facility is just a call away. Different room types in Hotel Suite Esfahan are single, double, triple, quadruple, plus luxury suites. 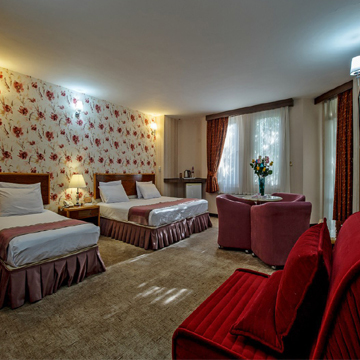 Although Hotel Suite Esfahan is a 3-star hotel, it provides facilities of a 4-star hotel. Free parking, luggage handling, reception services, tourism information, and airport transfers are the facilities available at the arrival and departure. Complimentary breakfast is served to all the customers. Customers can enjoy delicious meals and beverages at the restaurant and cafe. Apart from these basic facilities, health-conscious customers can check-in to the gym and at the same time, detox at the sauna lounge. Moreover, swimming pool adds to the luxuries of the hotel. Free WiFi access is available 24/7 without any interruption. Hotel Suite Esfahan accepts payment through all major credit card and other payment methods for online reservation. Parsian Suite Hotel provides the dry cleaning services and ironing. Apart from these, there is also an airport shuttle (surcharge) and breakfast service. You can enjoy your breakfast in a low-key restaurant but nevertheless is delicious. We speak your language. 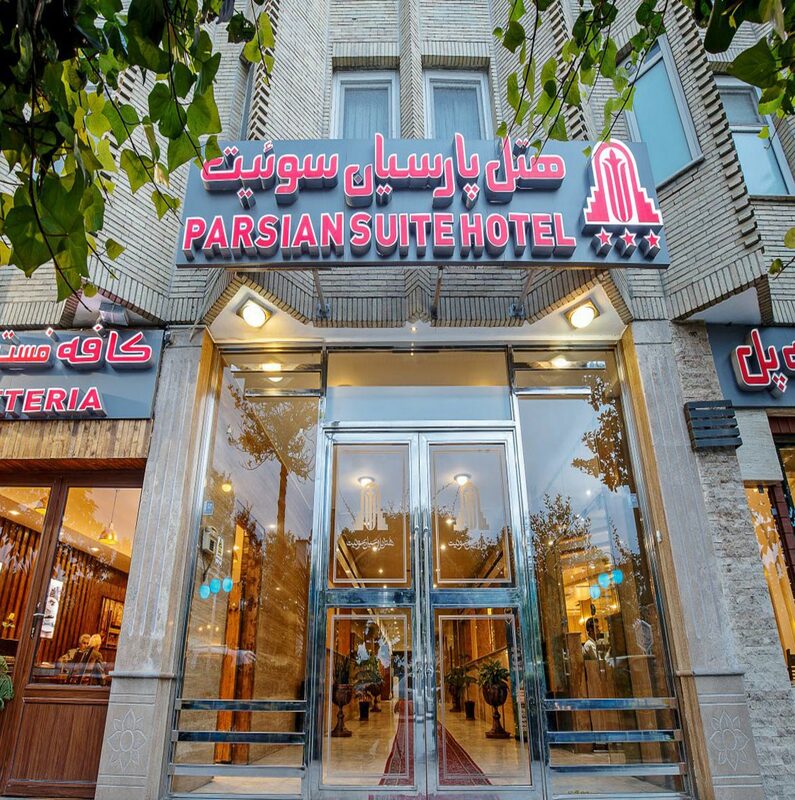 The 3-star Parsian Suite Hotel Isfahan has been welcoming Apochi.com guests since 28 May 2012. Hotel Rooms: 48. Simple and Easy VIP/CIP Transfer booking! We will take care of transportation to/from IKA Airport to Hotel Suite Esfahan. We always help you know where you’re going. We always welcome you to Hotel Suite Esfahan, 24 hours a day, 365 days a year. At Hotel Suite Isfahan, we know how important the internet is. We use it all the time for work, fun and convenience. If you need a parking space during your stay, you can use private car park. Thanks, We will look over your message and get back to you. Copyright © 2011–2019 Apochi.com™. All rights reserved.